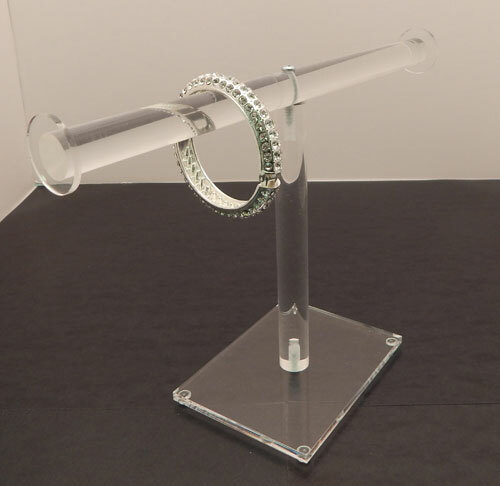 These acrylic bracelet or necklace t-bar stands will display beautifully in your display case or on your store counter. With the simple design they will match eloquently with any decor. Constructed of 1" clear acrylic durability will be a non-issue. There are circular ends on each arm to keep your products held securely in place. 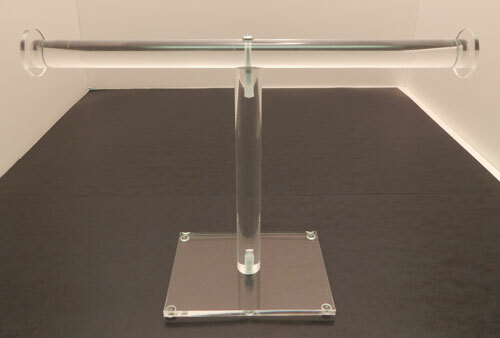 We offer three different sizes to accomodate every display situation. The flame polished edges ensure a smooth and clean finish. 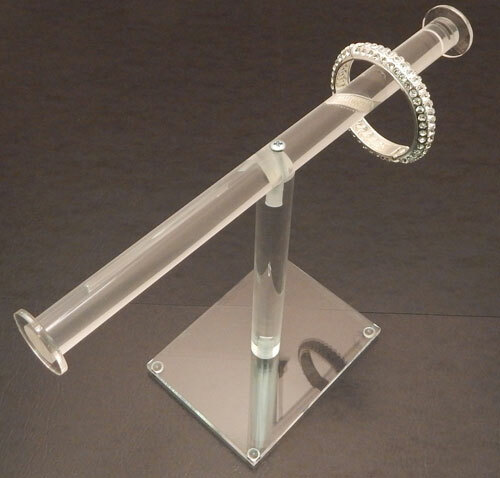 This acrylic bracelet holder features four tiers. 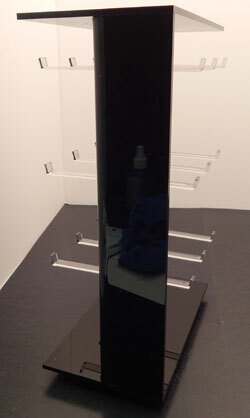 It measures 10 1/2"w x 13 1/2"h. It will display nicely in a case or as a counter top display.